No matter how great your web site looks visually or how high its SEO ranking is, the bottom-line is that if it doesn’t generate leads then it is doing you no good. I have put together 5 web design tips designed to increased website leads once someone actually arrives your web site. Every few weeks we will release a new tip so check back often! 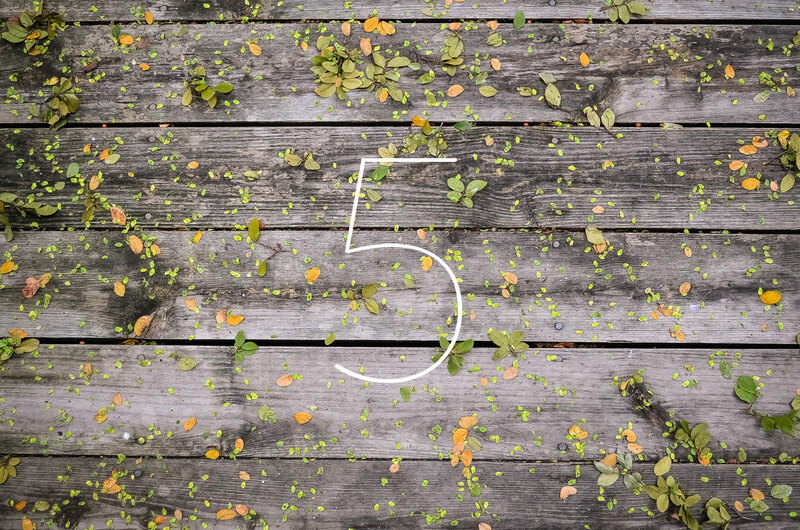 Today I offer you the first installment of 5. We have all heard of the 5-second rule when it pertains to food accidentally dropped on the floor but this is a completely different rule and is critical to your websites performance and ROI. Study after study has proven one thing again and again that that is, people today are impatient (yes, I am including you in this group). According to Chartbeat, 55% of website visitors spend fewer than 15 second on the average webpage. Thats right, over half of all website visits are over in a few short seconds… But at least you stuck around my website a bit longer than that; Right? We are all guilty of this as I am sure you have done this hundreds of times; Clicked on a link only to click back almost immediately when you do not instantly see what they are looking for. This is why having a clean, streamlined and efficient web design is crucial to keeping eyes on your content instead of searching for the back-button. The Rusty Pixel specializes in Florida web design and website interfaces that do just that. So why is it the called the “5-second rule” and not the “15-second rule”? Well this is because over half of everyone is gone by the time we get to 15 seconds which means we need to engage with our visitors long before we hit that mark (plus “7-second rule” wasn’t as catchy). It is amazing how quickly website visitors will become frustrated. Keep them happy by making critical elements like contact information, site navigation, call-to-action and featured services/products clearly visible and above the “digital fold”. All users should be able to find this information in under 5 seconds – Any longer and they will be hitting the digital dusty-trail (and back-button) for another website. Even if you have all of those elements in place at the top of your web page and upon load you should make sure your web design header is not cluttered and overly busy so it gets lost. Speaking of the digital-fold; With mouse scrolling wheels and mobile web browsing using ones finger, lots of users immediately start scrolling down as soon as the web page loads. This is why having those critical elements multiple times throughout your web design or fixed at the top always helps improve the odds of the web page visitor finding exactly what they are seeking. So to recap; Do not break the 5-second rule and make sure all visitors can easily find what they are looking for, regardless of where they are on the webpage, quickly and without frustration. Who knows… They may end up staying for a few extra seconds that could turn into minutes! Stay tuned for tip #2 coming up soon.